One of the many things that disappear when small children take over your heart and your home is the ability to do spontaneous things out of interest. Much stronger reasons are needed to justify abandoning the chicks in the nest without warning, leaving your mate to find last minute worms and put up with all that chirping. Those reasons include traffic jams, emergency health issues and paid work. There may be one or two more but it’s a short list and it certainly doesn’t include lectures by interesting authors in other cities. It is the unexpected dose of spontaneity that makes my trip to meet author and philosopher Alain de Botton for an interview in Basel last May so remarkable (to me). Picture the scene. I’m sitting at my desk on the outskirts of Bern cobbling information together on some distinctly non-literary topic. Probably something about an international tax agreement, climate change research or Swiss politics – I can’t quite remember. It’s a rainy Tuesday, or possibly Wednesday – definitely midweek. Well of course you know the reason why. This is an unplanned midweek evening activity after a working day. Having left the house at 7 a.m., and expecting to do the same the following day, I am already fending off the niggling thought that I might be short-changing the children on essential mothering hours. I’m hardly going to make things worse by not coming home, am I? Actually, a few phone calls and tweets later that is exactly what I decided to do. 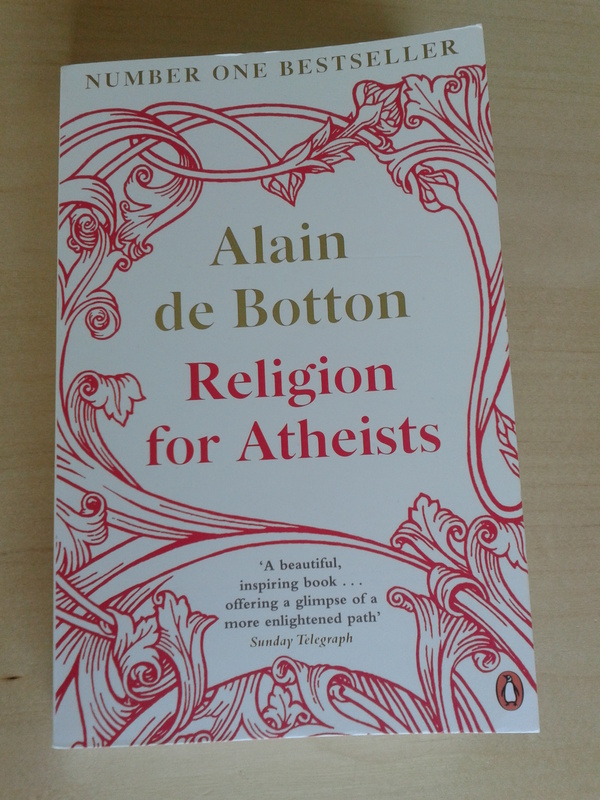 I got the all-important green light from father bird, sorted out tickets to the sold-out event by arranging to go in a professional capacity and found myself sitting on a train to Basel a few hours later avidly reading my newly-bought copy of Religion for Atheists, de Botton’s latest bestseller. That evening, sitting in the back of the hall in the Literaturhaus, I enjoyed the pure pleasure again of doing something cultural out of interest – something more than just going for a meal, hitting the playground or going on a work assignment. I got some time to listen to new ideas, to reflect on them and be moved by some of the human truths that bind us all together. Below is the link to the story I wrote for swissinfo.ch following the talk in Basel. Turns out it’s been 20 years since Alain de Botton’s first book was published. He’s been a busy bee. Have you done anything spontaneous recently to shake up the routine? Do tell.